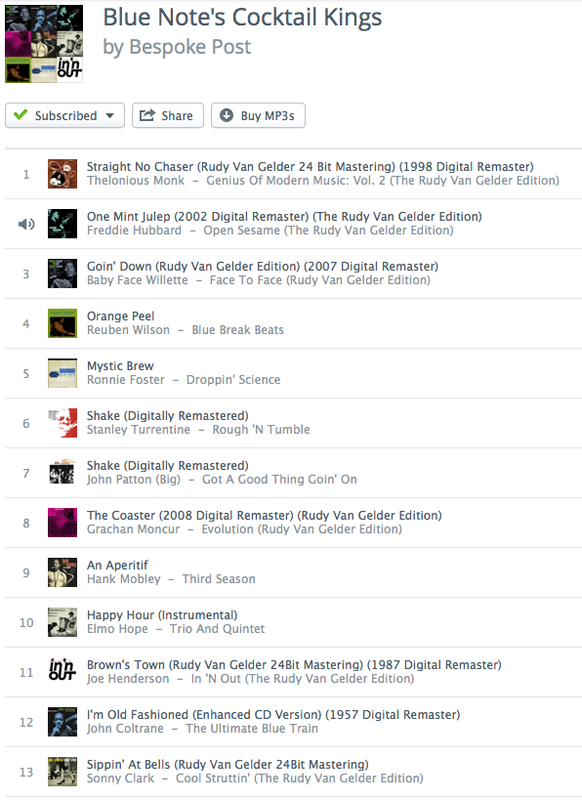 I got a link to a playlist provided by BespokePost.com for a cocktail hour playlist on Rdio. Pretty cool service. Streaming music. access to a lot of content. Check it out! Blue Note's Cocktail Kings Playlist on Rdio Nice background music for the cocktail hour(s).